Beijing is the capital of China and it is the most secured city to visit in the region. It is full of wonderful attractions that unfortunately are infested by flocks of local and foreign tourists. The moment you Google where to visit in Beijing, places like Tiananmen Square, Great Wall of China, Summer Palace, Old Summer Palace (Yuan Ming Yuan) and the Temple of Heaven (Tian Tan) pops up. Nonetheless, there are many more locations to visit in this gigantic city. If you are just like me, who loves exploring the less travelled path, this article should be saved for further reference! There are many ways to look at a place like Simatai. Simatai is part of the Great Wall and is located about 120 kilometers (KM) northeast of Beijing city. 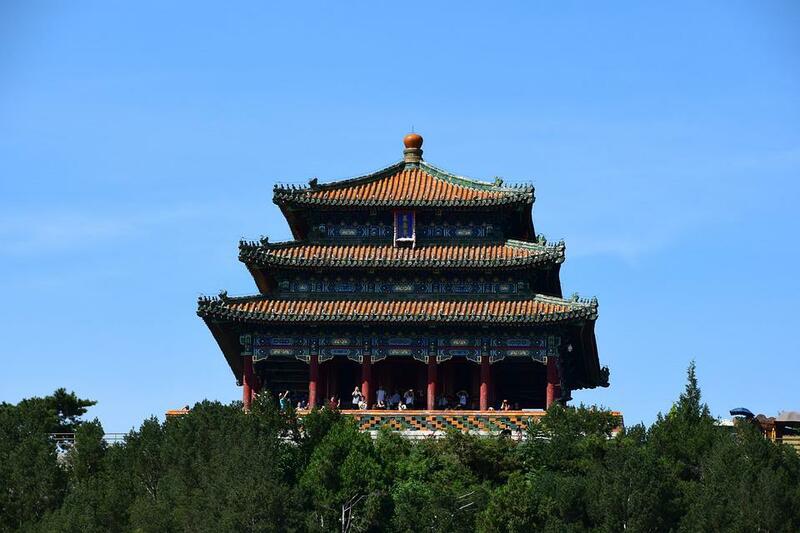 It was built during the Northern Qing dynasty and later on rebuilt during the Ming Dynasty under Emperor Hongwu. It is the access path to Gubeikou and was only recently reopened to tourists in 2014. It is the lesser-taken path for visiting the Great Wall of China. It is best to hire a guide as it is hard to reach and the hike is very challenging. Most parts of Great Wall are still not reconstructed on this path. Image via Wild Great Wall. Other than its scenic panorama view that it offers from the top of the Great Wall and a challenging hike, you should not miss out the chance to visit Gubei Water Town in Miyun County. In fact, you will be welcomed with a with a massive backdrop of the world famous Simatai Great Wall, the romantic Yuanyang Lake and the ancient Simatai Village. It is a replica of Wuzhen Water Town in Southern China. In Gubei Water Town, there are 6 areas in the soft opening stage including Old Barracks Area, Minguo Street Area, Water Street Area, Wonglong, and etc. You will find many interesting shops, tasty restaurants, outdoor natural hot springs, and distinctive hotels there. Visit Simatai and Gubei Water Town for an amazing one-day trip out of Beijing city! Sometimes you just wanna unwind and enjoy a nice day cruising down a fascinating river. Longqingxia Gorge or also known as Longqingxia Gorge is the place for your relax and unwind. This gorge is located about 90 KM north of Beijing city. It is famous for its peaceful yet dramatic scenery of wooded mountains, curious stones, and karst caves. Its stream is flanked by green peaks and capped to the north of the Gucheng Reservoir, which was built in 1981. The cruise typically takes about 1.5 hours offers you with views of passing attractions. 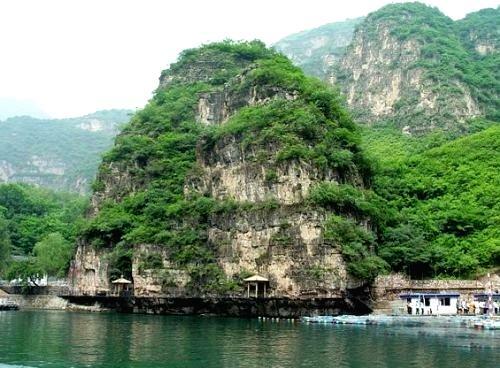 Some of these attractions include Hundred Flowers (Baihua) Cave, Immortal Temple (Shenxianyuan), and Jingang Temple. After the relaxing cruise, you can choose to enjoy a regional cuisine lunch at a farmer’s house or simply visit a local restaurant. Walk around the village and observe the lifestyle of natives. 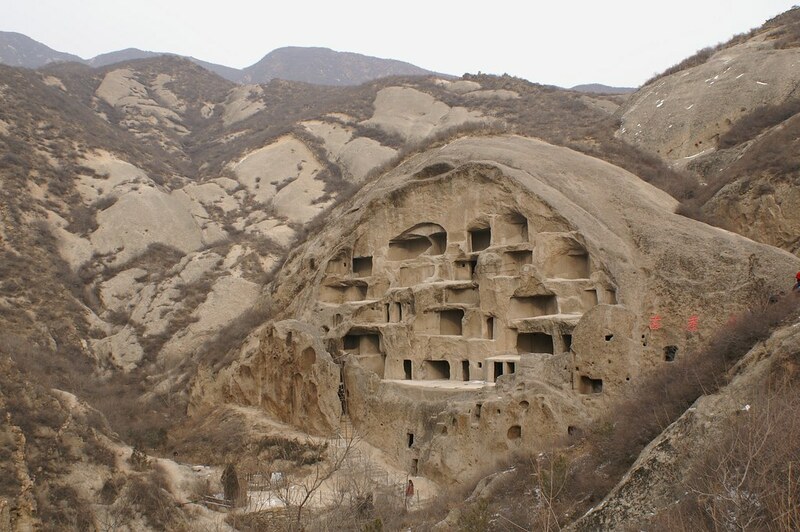 Continue your tour over to Guyaju caves, which is the biggest cave residence ever found in China that most Beijing residents have never visited. Here you will see ‘ant-farm likes’ of more than 170 dwellings carved directly into the rock face. These dwellings are believed to have been carved by an ethnic minority called the Xiyi between the Tang and Liao Dynasties. These remarkable caves consist of rooms of varying shapes and styles complete with doors but only the lowest row of caves are open to the public due to safety reasons. It is best to visit Longqingxia Gorge and Ancient Dwelling Caves on the same day. Additionally, it is not necessary to hire a guide as most of the signs have English translations and there is no extra information that a guide can provide you. Hop on to bus 919 and 920 to reach this location. However, the bus will take hours to reach and it can be difficult to get a ride back to town. It is best to hire a car, rent a bike or join a tour. Houhai basically refers to the back of the sea or “Rear Lake”. 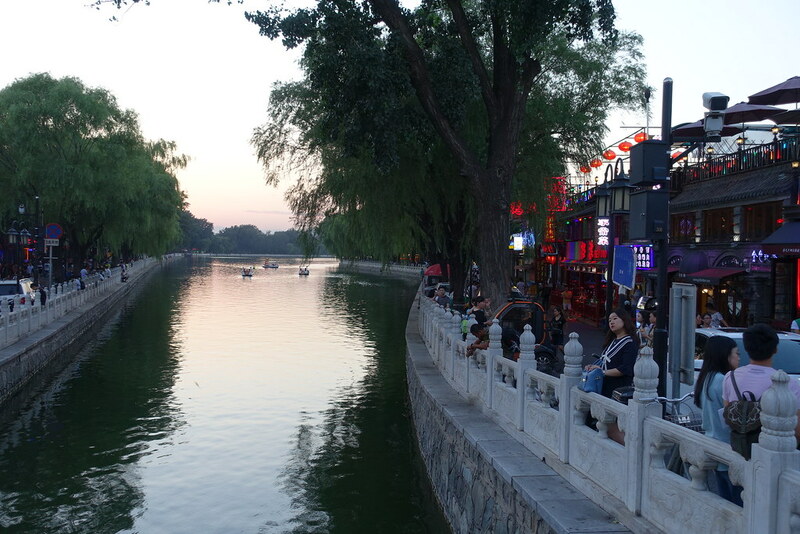 It is the largest lake among the three lakes that you can find in central Beijing, along with Qianhai (Front Lake) and Xihai (West Lake, which is not to be mixed with the actual West Lake in Shanghai). Houhai is relatively famous for its nightlife but in the day, it is one of the best places in town for you to take a stroll. Walk down hutongs (alleys) in the neighbourhood to enjoy traditional Chinese architecture. Sit down at one of the coffeeshops to enjoy the hustle and bustle of people. On a good day, you will be able to see the beautiful view of the lake without any obstructions. The Former Residence of Soong Ching-ling and Prince Gong Mansion are both located in the Houhai neighborhood. The lake itself is less-visited than the hutongs surrounding the area. To my surprise, most foreign visitors are unaware of this massive imperial park. It is just right behind the Forbidden City! Go straight from the entrance of the park to find the path that will lead you to the top of the watchtower. From the top of the watchtower, you will be able to have the full view of the Forbidden City. 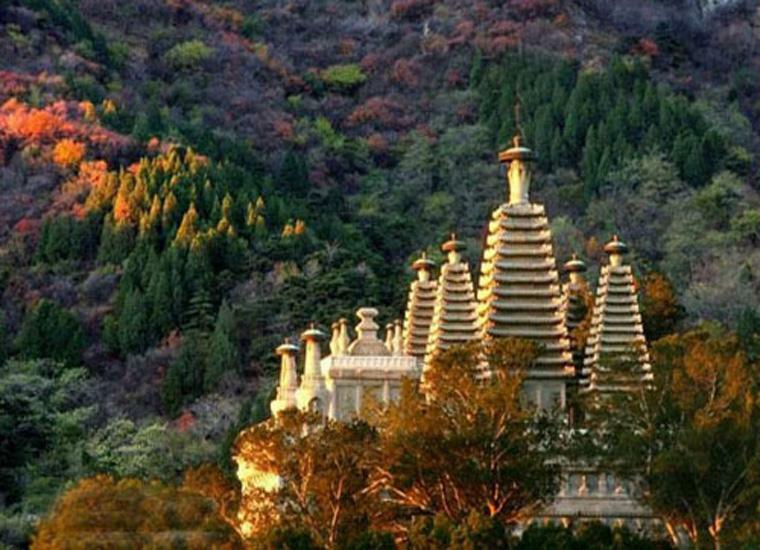 Biyun Temple is special due to the shape of its white pagoda located north of Fragrant Hills Park. From the top of Biyun Temple, you will be able to have a bird’s eyes view of the popular Fragrant Hills Park. The most crowded time to visit Fragrant Hills Park is during the Mid-Autumn Festival (August-October) to see the abundant red smoke tea leaves. However, it is still worth it to visit Biyun Temple and Fragrant Hills Park for spring. One of the other must-visit in the park is the old residence of China’s first president, Mao Ze Dong. You will easily spend a full day walking around nature and exploring the cultural relics here. If you are not keen on walking too much, take the cable car ride to Biyun Temple while absorbing the whole of Fragrant Hills Park beauty from the sky.